The Craft Guild of Chefs Awards – First British Bangladeshi chef to win the prestigious award! 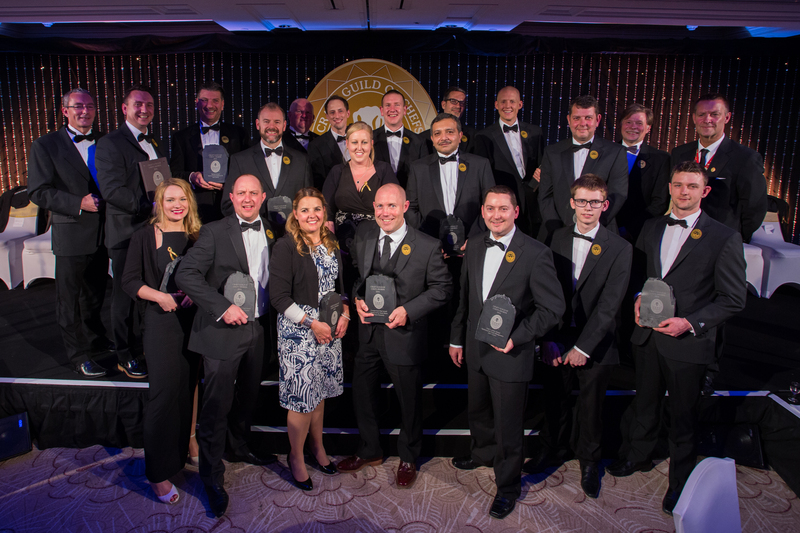 The Craft Guild of Chefs Awards recognised the crème de la crème of the UK chef industry in a glittering ceremony at the Lancaster London Hotel last night. Ethnic Chef Award was given to – Chad Rahman, Executive Chef at Chez Mumtaj. Chad Rahman is overjoyed, ” I am deeply honored and humbled to be the recipient of this coveted award from the Craft Guild of Chefs. It is most definitely one of the highest achievements in my culinary career as a chef to date.” A privilege to be recognized by your fellow peers in the culinary world. An audience of 800 industry luminaries saw the likes of the Galvin Brothers, Chris and Jeff, who were awarded the Special Award and Sodexo’s Gareth Billington who was named the People’s Choice. Chris White’s The White Spoon, Cheltenham was named New Restaurant of the Year, fighting off competition from Allan Pickett’s Piquet Restaurant, Wayne Smith’s Mortimers Restaurant and Jan Tanaka’s The Ninth Restaurant. The Michelin-starred Chris and Jeff Galvin were chosen as the Special Award winners. Renowned for their French cuisine, the brothers opened their first restaurant, Bistrot de Luxe in 2005, with Galvin at Windows following a year later and securing a Michelin star in 2010. A second Michelin star followed a year later for them at Galvin La Chapelle, which opened in 2009. Following over a 1,000 online votes, Gareth Billington, executive chef at Sodexo was named the People’s Choice. The chef heads a 32-strong team at Everton Football Club providing match day and event catering and has won a string of awards during his career. His involvement with Springboard’s FutureChef initiative, which helps young people learn cookery skills and train for careers in the hospitality industry has perhaps garnered the most praise. The ambassador has, to date, mentored four national finalists, three of whom took the top prize, beating over 8,000 entrants.